Mavis Wanczyk isn’t the only one who hit the lottery this week. The Powerball winner of $758.7 million will be joined by Floyd Mayweather and Conor McGregor to score a massive payday in a single strike. The Nevada Athletic Commission has released the disclosed salaries for Mayweather and McGregor, and they are huge. Mayweather will pocket a cool $100 million for merely stepping into the ring Saturday night inside T-Mobile Arena in Las Vegas. McGregor, meanwhile, banks $30 million. The guaranteed money matches what Mayweather made in his 2015 blockbuster match against Manny Pacquiao. Mayweather reportedly collected another $130 million after receiving his piece of the pay-per-view pie. The most McGregor has ever made in disclosed salary was the UFC record $3 million he earned in last year’s rematch with Nate Diaz at UFC 202. It was reported he scored at least another $8 million after his PPV take. Regarding tomorrow’s extravaganza, McGregor has said he expects to earn around $100 million in total, while Mayweather has suggested he’ll hover around $300 million. Besides the gaping $200 million difference in pay, Mayweather will also avoid paying any promoter fees since he owns his own company, Mayweather Productions. To a lesser extent, the same can be said for McGregor with his freshly formed McGregor Sports and Entertainment. 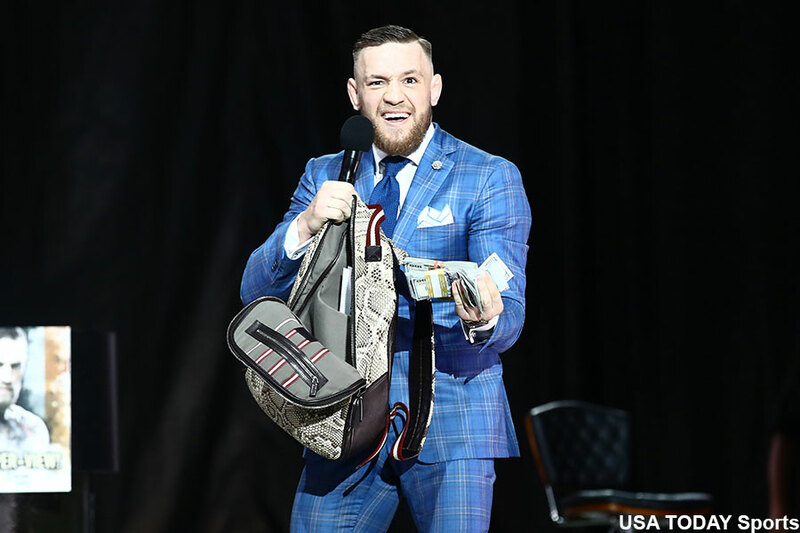 However, McGregor is under contract with the UFC and they will take a big chunk of their golden boy’s loot for allowing him to enter the boxing ring. As a friendly reminder, don’t forget to pay Uncle Sam his piece this time, Floyd.